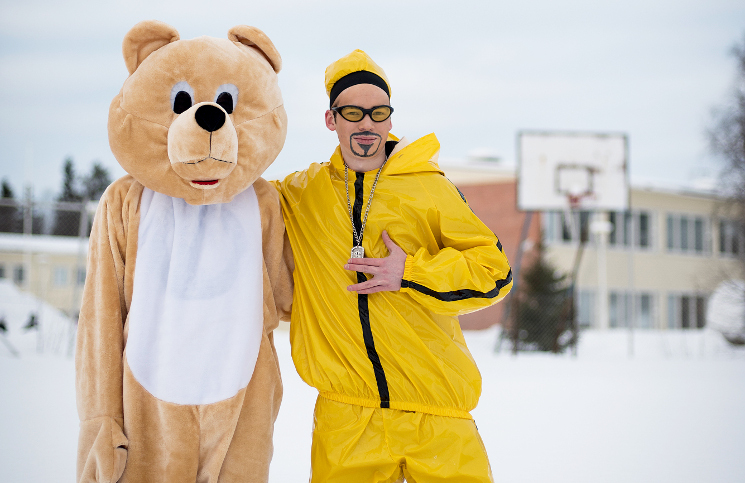 Ali G and a bear in Ivalo, Finland. Credit: Elias Lahtinen. Far north, where the borders of Norway, Finland and Russia begin to converge, is where a group of college journalists decided to build something sort of awesome – and temporary. It wasn’t built to last but it was built to have an impact. Using traditional news, long reportage, short stories and a photographic style inspired by the popular Facebook page Humans of New York, UusiInari.fi published for five weeks in February and March. The purpose of the pop up project that raised €13,000 on the crowdfunding platform Mesenaatti was never to create a sustainable news source. The purpose was to experiment. “We don’t believe that everything has to be huge and permanent. We believe that even small things, even just things that last for a while, they can make a difference. They can build up for something new or they can give some ideas,” Uusivirta said. Uusi Inari is one of multiple recent attempts by young Finnish journalists to do something new in local online journalism with crowdfunding. Reunamedia, created by students from the University of Tampere like Uusi Inari, is in the middle of their Mesenaatti crowdfunding campaign. Kaupunni in the northern Finnish city of Oulu was inspired in part by Uusi Inari and plans to launch a Mesennatti campaign this spring, editor Noora Vaarala told Through the Cracks. Unlike Uusi Inari, Kaupunni and Reunamedia aren’t pop ups. They plan to build more permanent news websites. The project was also made to be part of a conversation about the crisis in journalism, the transition to digital and the future of local news. Like pretty much everywhere else in the world, Finland has experienced a decline in jobs for professional journalists. Full-time journalism jobs are down roughly 20 percent in the last decade, according to Juha Reikola, ombudsmen for the Finnish Union of Journalists. Humans of Inari and Moments, snack-sized stories meant to give you a taste of the local flavor, were part of that effort to learn and see what works. An analysis of the project and story analytics will be shared in the near future, Uusivirta said. “It’s really interesting to see how this local online journalism thing turns out in the future,” said Uusi Inari editor Vilma Ruokoski. After taking a look at area demographics, local business, indigenous Sami culture and issues that impact Finland’s largest municipality, picking Inari as the location of the pop up was one of the first choices made by the editors of Uusi Inari. Issues like nature, tourism, working with neighboring countries and providing services to people in rural communities who are spread so far apart. People in Inari are also really proud and spirited. “It’s actually a pretty lively community. You may think otherwise but it’s not,” Uusivirta said. So how is it that a group of eight college students raised €13,000 euros for a magazine that wouldn’t last much more than a month? Uusi Inari may have only published for five weeks but it took a year and a half to go from concept to completion, Ruokoski said, with six months of research and work before the crowdfunding campaign and work on the ground in Inari began. Later in the process, reporters and editors utilized crowdsourcing, asking peole who gave to the campaign and others around Finland to share their story ideas. None of the students involved with project are from Inari so one important step taken before the start of the reporting project and crowdfunding campaign was a trip to Inari. “We were there for a week and met a lot of people and just also not only interviewed but only just met them and asked how is it here and we have this idea and what do you think about it?” said Ruokoski. While visiting Inari before the campaign, some of the initial photography and reporting was gathered to share during the crowdfunding campaign. “Our campaign wasn’t only about advertising. It was about content and small reports or Humans of Inari and so on,” Ruokoski said. Storytelling on uusiinari.com and in social media started during the campaign to give people an idea of what to expect and to let them know that if they want more then they should fund the project. Photography and other visuals, like this map to Inari that was used like a fundraising thermometer, were especially important. “You can’t just put that [your campaign] on the site and then wait. You have to really like update your social media, you have to produce some content to produce the content to convince the funders,” Uusivirta said. New to crowdfunding, organizers of the Uusi Inari campaign followed the advice of Mesenaatti and look for success stories to emulate but they also looked for people with experience. Be prepared to overestimate how much time it takes to carry out a campaign. Ussi Inari‘s campaign lasted for six weeks – six involved, stressful weeks. 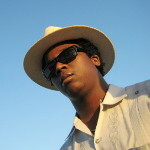 Anything you can plan ahead makes crowdfunding easier. “If you think you’re ready tomorrow, you can be sure that if you have like deadline tomorrow at 4 p.m. that it takes until 6 p.m. or even later so always have spare time,” Ruokoski said. You can use it to read something over one last time or take care of technical problems that arise. Correction: The original version of this story shared a link to UusiInari.com when in fact it’s UusiInari.fi. We regret the error.